NISSAN has celebrated the start of production of the Nissan Qashqai at its plant in Saint Petersburg, Russia, as it brings the latest version of its best-selling crossover to the Russian market. The announcement comes just months after the new X-Trail was launched for production at the plant in October 2018. The new Nissan Qashqai features a range of important upgrades to both the exterior and interior, offering enhanced functionality and Nissan Intelligent Mobility technologies. These include Forward Emergency Braking (FEB) and Rear Cross Traffic Alert (RCTA), both of which help to avoid the risk of collisions and provide added safety and peace of mind for the driver. Other upgrades include a more stylish exterior design and new interior trims. 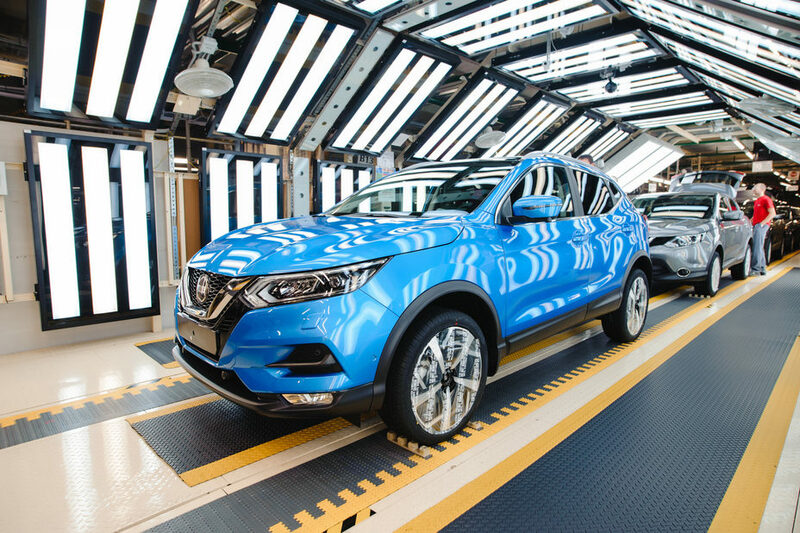 Built in Russia for the Russian market, engineers at the Russian subdivision of Nissan Technical Center Europe (NTCE) have also adapted the new Nissan Qashqai to meet the specific demands of Russian consumers. Improved noise insulation and more comfortable suspension mean the model is better equipped to tackle the country’s unique road conditions and severe winters. Russian consumers also benefit from the addition of the popular voice-controlled multimedia system Yandex.Avto, which offers complete access to Yandex.Music streaming, the Yandex.Navigator navigation system and full internet connectivity. Sales of the new Nissan Qashqai in Russia will begin later in 2019, with exact dates, trim variants and prices to be announced soon. Nissan’s Saint Petersburg factory is the company’s youngest manufacturing facility in Europe, having opened its doors in June 2009. The site utilizes extensive digital technologies and automation in all stages of the production process, including the use of artificial intelligence (AI), 3D printing and digital quality assurance systems. The plant set a production record in 2018, having produced 56,525 vehicles and exceeding the previous year’s total by 23%. Since opening its doors in 2009, 357,602 vehicles have left the conveyor belt at the Saint Petersburg plant, and Nissan Europe is preparing for celebrating its 10-year anniversary in June 2019. Nissan has operated in Russia since 2004. In CY 2018 Nissan Group (Nissan, Infiniti and Datsun) sold a combined total of 106,138 units the country, representing 5,9% market share. Russia is one of the few countries worldwide where all three brands of Nissan Group are available for purchase.